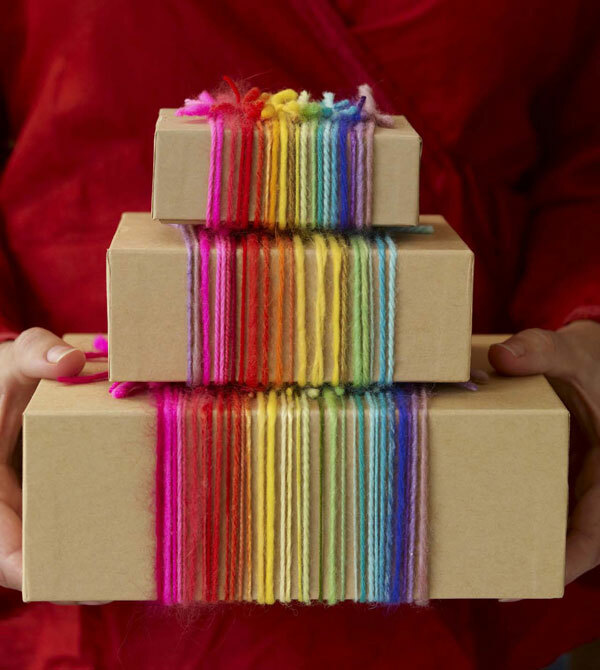 More and more there are such creative ways to wrap up gifts for this holiday season and it’s really becoming such an artform! Most of these you can totally DIY yourself with craft items you may already have like felt or lovely washi tape. Check out some of our faves! Get wrappin! Pretty ribbon packaging from Creature Comforts. 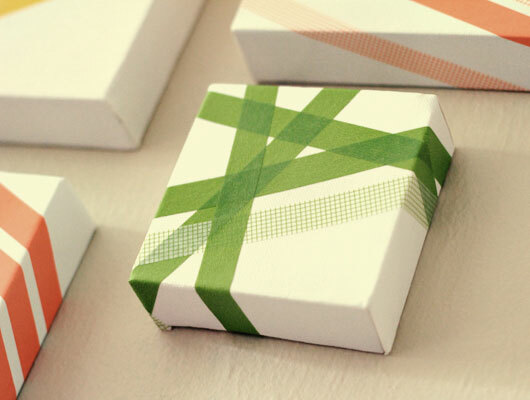 Get creative with washi tape from Sarah Hearts! Adorable ribbon animals on Anthology Magazine from Ribbonesia which by the way has an awesome blog! 100 Layer Cake features a diy paper gift bow using magazines! Poms and yarn on Bugs and Fishes. Check out the holiday gift tags in our Etsy store! We have a darling French girl in a snowy Parisian scene and some fun red chubby birds! Comes in sets of 4 with some red and white baker’s twine! 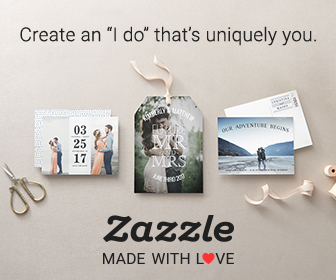 Some fun and easy ways to spice up any kind of packaging for gifts, favors and parties! I love that these are all so simple and budget-friendly. This uses the mesh fruit packaging material to wrap around a kraft box. What an ingenious idea. Gold foil pennants anyone? These are from the insides of gold foil candy wrappers. Now I have something to do with all my leftover yarn! Cute idea using fabric and twine. Featured on The New Domestic as party favor packaging. 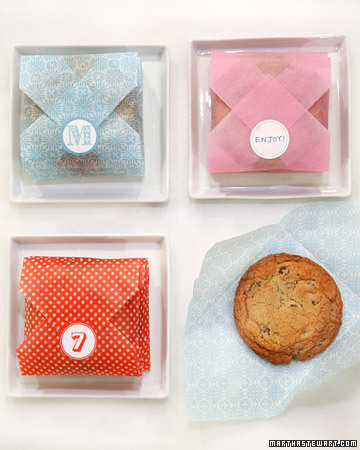 Only Martha could conjure up something so easy but so fab for something as simple as cookies. This lovely idea of the button and elastic boxes also comes from Martha. Eek! I totally love this. So easy to customize each bag. Get the template at Nice Package. Lastly, doilies to add a nice touch. Found on Paper Crave. This is pretty awesome. Italy-based design agency, Uncle Pear integrates a wedding invitation into a chocolate bar.